Digital signage software allows for text, animation, or video to be displayed on an electronic sign. This content is delivered through a remotely managed display such as a television, computer monitor, or a network of electronic signs. Typically this signage is meant for the public, such as an electronic billboard or menu outside a restaurant. Digital signage is commonly utilized for marketing purposes, such as enhancing the customer experience or brand building. Content management systemsoften integrate with digital signage tools, as they are needed to manage, store, and publish the content for the displays. Digital signage software must also integrate with the appropriate hardware, such as the screens the content will be displayed on. Digital Signage reviews by real, verified users. Find unbiased ratings on user satisfaction, features, and price based on the most reviews available anywhere. Enplug is the award-winning digital signage software that powers marketing and internal communications at ZenDesk, Google, Marriott, and thousands of global brands. With the industry's #1 open App Market, we provide a huge selection of free and automated content like news feeds, metrics dashboards, social media walls, and webpage content. Users can effortlessly schedule content on one or hundreds of displays at once on Enplug's web dashboard. 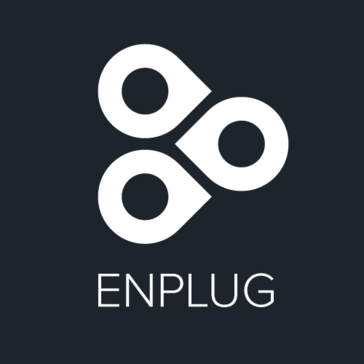 The Enplug Device connects to your screens and works when the internet goes down. Pricing as low as $35 per screen. _____________ Featured in Wall Street Journal, Inc. Magazine, Entrepreneur Magazine, Fast Co., TechCrunch, and named CSQ Magazine's Top 10 Innovators. Investors include Oaktree Capital co-founder, AT&T's former CTO, and Activision's co-founder. Mira makes it easy and affordable for any business to transform their TVs into gorgeous screen signage. Mira’s easy-to-use cloud software and self-installed hardware makes it simple to bring news, menus, promotions, social media, and more to any TV, without a designer. Thousands of businesses use Mira to increase sales, improve guest experiences, and create a beautiful, branded ambiance. Mira also improves employee engagement for back-of-house use cases, including announcements, opening and closing procedures, schedules, and even interactive teleconferencing and training. Mira’s growing partner platform includes Soundtrack You Brand, which includes a library of 50 million fully licensed songs for just $26.99. With BlueJeans, Mira also allows you to reach employees and customers with live teleconferencing, which is great for outreach, demonstrations, and employee training. Thousands of organizations, including Wahlburgers, Ramada, Westin, Pizza Ranch, Harvard, Princeton, and the Dallas Mavericks have transformed their spaces with Mira. Learn more at getmira.com. TelemetryTV is a cloud-based digital signage platform. TelemetryTV gives users the ability to design, publish, and manage digital signage, dashboards, video playback, social app feeds, and advertisements all updating in real time with any number of displays. It works with consumer grade hardware like Google Chromeboxes, Windows and Intel NUCs. Easy. Professional. Signage. That's what more than 20,000 happy customers experience every day with the viewneo cloud-based Digital Signage solution. 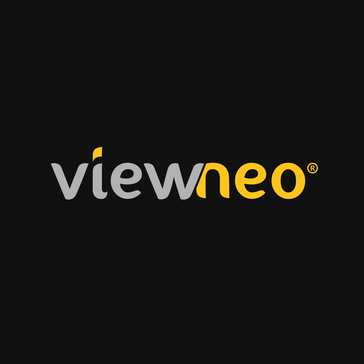 Whether your're a small-sized store utilizing just one display, or chain stores using thousands of screens all over the world – viewneo is a modular digital signage solution and grows alongside your business needs. Expand your opportunities by adding licenses and plugins whenever needed. Cnario Suite is a complete digital signage playback, distribution and content management platform for informational, educational and commercial messaging. This software suite constitutes a full end-to-end digital signage solution, creating an industry first all-in-one digital signage content management platform. Cnario enables creation, management, monitoring and control of digital signage networks through easy-to-follow workflows that provide a lower total cost of ownership than the competitors. Content Authoring - Cnario's Any-K fluid video wall technology is designed to support any size video wall canvas. It's Multi-CPU architecture handles everything from running the playback engine to smart distribution of large format content, all fully synchronized utilizing multiple PCs. The result is near limitless expandability of your video wall canvas and limitless detail in your content, whether it's 4K, 8K or beyond. - Layouts Layouts are Cnario’s way of harnessing the power of multi-display authoring in a simple, flexible and convenient toolkit. Whether a single screen, video wall or collage, Cnario lets you focus on your content’s visual impact and not which displays receive what content. - Advanced Scheduling With Cnario you get the powerful scheduling capabilities you need without sacrificing flexibility and ease of use. Organize and schedule your content in three easy ways. Management, Distribution, & Security - WatchDog is real-time component bundled with every Cnario player actively monitors the player application as well as key functions of the player PC. WatchDog can identify and automatically resolve performance and reliability issues with minimal visible impact. Should the need arise, WatchDog can even restart the player PC all while reporting application and PC health to the CMS in real-time. - Cnario's intelligent distribution uses "push and store" logic, where each player holds all of the required playlists and media assets required for playback per its scheduling and is never dependent on connection to a CMS, a streaming server, etc. 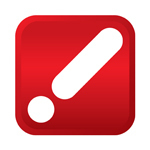 Cnario automatically keeps players up to date and plays the latest version of the content. Every file is identified using a 128Bit "hash" key referenced in the playlist (or other content items) which ensures content validity. The entire process is fully monitored by the CMS with to-the-byte progress and completion tracking on an asset-by-asset basis. - Cnario’s built-in permissions engine provides system administrators with the ability to create and manage collaborative workflows for users inside and outside the organization. These permissions can be role or department-based, integrated within the organization’s active directory, defined according to a multi-level approval workflow, and even restrict access and actions right down to the individual channel and content item. Playback -Full Sync Playback ensures frame accuracy regardless of the type, size, and duration of your content. Create choreographed sequences, animations, and complex logic involving many visual items, and spread them across the entire canvas. -Pixel Perfect Cnario provides incredibly smooth playback with its powerful playback engine. This engine enables us to address every pixel in a canvas (even very large ones) by driving each display in its native resolution. For the extra-large canvases, Cnario uses multi-CPU frame synchronization that maintains perfect sync across the multiple computers that drive the canvas. This ensures that all displays in the canvas operate as one cohesive video wall. You never need to do anything to keep everything looking perfect, Cnario keeps it up and running... from the start. -Auto Failover For installs requiring maximum uptime, Cnario players can be configured to run redundant channels. During playback, the system continuously monitors every player and automatically reverts to a backup unit in case an error occurs minimizing disruption on playback. -Generative & Interactive Content Deliver powerful customer experiences built in today’s interactive platforms - HTML5, WebGL and more. Utilize the Cnario visualization engine to display responsive content in real time across multiple displays and the Cnario API to integrate with external data sources. -Open Architecture Harness Cnario’s device integration API for seamless interface and activation between content, external readers, sensors, automation systems, and connected peripherals. Screenly is the original and most popular Raspberry Pi based digital signage solution, powering over 10,000 screens around the world. Thanks to Screenly's easy, yet powerful CMS, anyone can build and manage their own digital signage network without fuzz. This is why customers ranging from small business to some of the largest companies in the world. Moreover, with Screenly's API, it's possible to integrate Screenly directly into other solutions, providing a seamless end-user experience. Screenfluence is a proprietary cloud based Digital Signage Content Management Software. We provide businesses with the ability to remotely manage and showcase their digital content on any display. With Screenfluence, update content within seconds by logging into our web app from any internet-enabled device. We combine the powerful use of Instagram into our digital displays to help showcase your product. Nutrislice is designed to help school nutrition programs with their marketing communications. Create free social media wall. Embed social wall widget on a website. Everything that you need to aggregate social media posts. Get started now, it is FREE. ClockNine is a full service digital team of technological and creative experts, creates responsive media that captivates, innovates and influences. Four Winds Interactive (FWI) is a leading enterprise digital signage software company, empowering over 7,500 customers to manage large-scale, multi-purpose signage networks, including American Airlines, Bank of America, Wells Fargo, Marriott International, MGM Resorts, Boeing, Microsoft and Oracle rely on FWI's software to power hundreds or thousands of screens across their enterprises. FWI’s cloud-based software platform has been recognized by customers and industry analysts as the most powerful and flexible digital signage solution available on the market. PresentationPoint is a digital signage software that includes: 1. iPlayer: Digital signage player 2. DataPoint: connect to common data sources for real-time updates 3. dynamic elements: Connect to news, weather, events, social media, time or create video walls 4. CounterPoint: Manage waiting queues and other lineups 5. MessagePoint: Turn every computer into a company-wide broadcast system. Visix, Inc. offers a robust suite of digital signage software, content designs and meeting room signs for any organization wanting to engage, excite, and inform their audiences. Our products work separately or together, are competitively priced and scalable, and have powerful interactivity and data integration features for a unified, enterprise signage solution. Our award-winning service and support teams consistently rank the highest in customer satisfaction for fast, professional responses and solutions. MySignage Rocks is a cloud based digital signage solution. Appspace is a digital signage software that helps to keep a team informed and engaged, whether they are at work or on the go. AxisTV Enterprise Software is a digital signage software that provides deliver unified visual communications across the organization. Broadsign's the leading ad tech company providing cloud-based digital signage solutions to power over 160,000 displays worldwide, including in venues such as Heathrow International Airport, LAX and Times Square. Content management, network operations, direct sales, and programmatic distribution - all in one marketing platform. With Broadsign, it’s easier than ever for publishers, agencies and brands to harness the power of digital out-of-home and connect with audiences across the globe. CONTROL • Distribute content and ads across a network of any size with automated digital signage software. • Grow your network without limitations with scalable and reliable content management and network operations. CREATOR • Effortlessly create and display location-specific content across your network. • Create unique content to suit every location’s audience while maintaining a unified look and feel with easy-to-use templates. DIRECT • Sell smarter and faster with a sales tool that syncs ad inventory with your network operations in real-time. • Answer leads while they’re hot by responding to client requests with share-of-voice or goal-based proposals within minutes. REACH • Generate more revenue from your digital signage network with programmatic advertising sales. • Compliment your direct sales and open your doors to new buyers by connecting your excess DOOH inventory to digital media buyers around the globe. Our platform is your business ambassador. Our cloud-based platform and hardware-agnostic equipment keep you nimble. Theres no need to tie up your people and resources with workarounds for your outdated system. Our technology does what technology is meant to do - help you simplify your infrastructure and processes. Not make your life more complicated. Create slideshows and show them off on any networked display. Hardware not included. Foyer comes with build in support for the Theater for WordPress plugin. With Theater & Foyer you can easily publish your events on your website, and showcase them on your onsite displays. The Digital Notice Board creates an instant bonding and quick messaging in the schools, colleges, offices and at corporate. No coding. Total freedom. Works like magic. Intuiface— The world's premier platform for creating, deploying, measuring, and managing interactive digital experiences without writing one line of code. Build gorgeous, highly functional applications for any audience and interact with them using mobile devices, multi-touch displays and any external input device like RFID/NFC tag readers and connected objects among the Internet of Things. Use your own data, your own layouts and your own content - there are no restrictions. If you can build a slide then you can create fully interactive experiences that will thrill your clients and intimidate your competition. Plus, since Intuiface uses HTML5 under the hood, it's future proof! Kitcast is a new kind of digital signage solution. It allows you to show your content on any screen using just Apple TV instead of expensive and tricky hardware. Setting it up takes ten minutes and requires no extra technical skills. Multi touch screen software is designed to offer effective interactive digital signage solutions. No subscriptions | No contracts | Dozens of free content widgets. Mvix's powerful software, XhibitSignage, enables users to remotely manage their digital signage network, including content, schedules, and playback, via a standard web-browser. Omnivex Moxie allows organizations to drive business results, improve operational performance, and empower and engage people. With Omnivex Moxie you can connect people with real-time information where and when they need it. Simple, scalable, web-based digital signage software for all. We provide a premier, cloud-based digital signage platform that is feature-rich, easy to use and affordable. No contracts or hidden fees. We make this easy! 1Play Digital signage software is a solution for video wall. 4YouSee is a software for managing digital signage. It has the management features for DOOH networks ready to capture the most fa target audience. Aaztec Signage Suite is a solution- enable to reach target audience effectively. It gives the freedom of displaying any type of media to promote products and services. Drive consumers to select the best deals for them and for you by using a Digital Signage Solution from Abierto today! ActiVia is a digital signage software that supports video-on-demand, IPTV, software push, data replication or digital cinema applications. AddReality is a digital signage software that offers the united platform for content creation, management, and distribution in digital signage networks. Our software was designed by marketing for use by marketing, so ease of use has been a hallmark since day one. However, managing hundreds or thousands of screens with the same software requires functionality that automates complex scheduling, and other repetitive tasks. Admira Suite is a digital signage software that helps organizations improve customer interactions by delivering digital signage solutions. Adserve is a digital signage software where users can create manage schedule and display compelling advertising and information content across multiple in house zones and multiple venues. Arreya Digital Signage Suite is a digital signage software to create, manage and edit digital communications. Digital signage is an ever-evolving technology, and the diverse products in this category offer different sets of features designed to assist with your company’s display projects. Below are some of the major features you may find when researching specific tools in this category, along with details about their functionality. If you see a feature that appeals to your needs, keep that in mind when considering a specific product. Live Content Deployment — With a proper connection established between your main device and your selected hardware, this feature allows you to transmit fresh content directly to one or all of your screens. When not deploying live content, digital signage software plans out content with timed deployment scheduling and/or playlists. But if you desire more in-the-moment control over your displays, look for the live content deployment. You can also program local news and weather to be displayed in real time with certain products. Social Integrations — Displaying content like reviews or photos from your social followers is an effective way to engage today’s audiences and can be a supplement or replacement for other marketing efforts. A social integration feature will pull content from your social profiles based on keywords or filters and work them into playlists to be displayed. You can encourage customers or attendees to add hashtags to their own posts, whether on your page or theirs, and program your software tool to recognize the hashtags and collect the right content. Multiple Orientations — If you’ve designed a slide for a widescreen TV but decide to display it on an upright tablet, a multiple orientation feature will modify your content as necessary to fit these different dimensions. With the countless types of devices available, and more on the way, the ability to automatically adjust your content for different orientations removes the stress of broken content across display types. This eliminates the need for creating separate slides for each unique hardware type. Hardware Compatibilities — It’s important to consider which hardware types and brands your digital signage software is compatible with. While a particular software may not be compatible with all devices out of the box, it may allow for updates that increase the number of compatibilities. A number of digital signage platforms integrate with touchscreen devices and touch TVs, allowing you to create interactive content. Customizable Layouts — Importing slides or images into your digital signage application allows you to deploy content you’ve created on a different platform, such as presentation software, photo editing software, or graphic design software tools. Additionally, certain digital signage products offer designer tools and customizable layouts so you can create beautiful, displayable content and deploy it to your screens all in one place. Digital signage platforms and signage networks can reap substantial benefits in a diverse set of arenas. Once software is installed and quality equipment is put in place, signage network solutions can perform for years on end. You may find a practical use for these tools in most any line of work, but the following are the most likely groups of users based on where intelligent digital signage and digital signage hardware is most common. Retail/Restaurants — Whether using free digital signage software or deluxe, high-end product suites, an attractive display screen can improve the look and feel of brick-and-mortar businesses. They are a convenient, effective way to promote deals, explain products or menu items, foster loyalty, and engage customers in various ways. They can also promote engagement through social walls, where customers can see media or reviews shared by past customers. Cloud-based digital signage also makes it quick and easy to update content from a centralized hub, eliminating the need for manual updating and replacement of physical signage throughout one or many locations. Event Planners and Marketers — In recent years, the digital transformation has changed the face of industry events, from local markets to national conferences. If your team is operating a booth or hosting a branded event, a digital signage tool—along with some LCD monitors or flat-screen televisions—can legitimize your operation in the eyes of attendees. They can entertain, inform, offer real-time data, and showcase your product or service with testimonials, demonstrations, and results. Digital displays now go hand in hand with business events and other public appearances. Sales Managers — Sales is a nonstop race and can create an exciting, competitive office environment. These teams are typically chasing a number of goals at any given time, which are often tied to quotas, incentives, and promotions. Digital signage software empowers sales teams to broadcast and track sales figures and live updates on screens throughout the office. When synced with sales performance management software or sales gamification software, digital signage applications can keep sales teams informed and motivated with all the information most relevant to them. It can also contribute to an energetic atmosphere due to a unified awareness of new deals, high performers, and crunch-time goals. Lag — If for some reason you encounter lag or temporary glitching with your software, it can cause the wrong content (or no content at all) to be transmitted to the corresponding screens. When reading reviews for the different solutions in this category and researching product websites, keep an eye on factors like system requirements, memory usage, and general reliability. Network Issues — Syncing these platforms with the right screens, whether within your store or across town on a billboard, might require a solid network connection. Programs will vary in their specific capabilities and usage requirements. If your signage network relies on a secure wireless connection, ensure that you can access a fast and smooth network and stay connected for the necessary duration. A slight connection issue could be troublesome and risks alienating or upsetting your audience. Faulty Equipment — A digital signage platform is only as good as the hardware on which you broadcast your content. If you are using old or damaged equipment, you are running the risk of a system failure and dropped display at any moment. It is also important to keep your hardware secured and at a safe distance from potential interference. If a customer bumps into or spills something onto your screens, it could interrupt the signal and potentially cause expensive damage. The same goes for the computer on which you are operating the software itself and communicating with your network of screens. Hacking/Overrides — The multimedia content you choose to broadcast with digital signs is representative of your brand as a whole and can be a valuable communication tool for thousands of potential customers. With that said, using these tools requires vigilance to protect the accuracy and integrity of the content being displayed. If an unauthorized user gains access to your software or compromises the hardware itself, they could potentially display offensive or damaging content and have it reflect upon your organization or individual employees. Consider added security steps such as multi-factor authentication software to maximize protection of these accounts and any associated devices. Hi there! Can I help you find the best Digital Signage solutions?